How do I start a food blog? What company should host my blog? How do I customize my site? These are all questions that ran through my mind as I prepared to start Story Nosh. I thought it might be useful to others if I made my process transparent. Since I started about a month ago, it is all fresh in my mind! If you are thinking about starting a blog, I hope you will find this helpful! Please note that some of the links in this post are affiliate links. My recommendation is to poll as many friends as you can about your choice, prior to purchasing the name! They can help you realize if you overlooked an alternate or embarrassing meaning of the word. Also consider searching social media platforms for the name to see if it is available. You don’t want to have multiple versions of your name across various platforms. That will hinder people from finding you. Also consider how the name may be shortened in hashtags. #storynosh Then search those hashtags to see if it is used for other companies or references. Getting a good sense of what’s out there already will prepare you for promoting your blog when you launch. There are multiple avenues for purchasing domain names. We chose to purchase through Google Domains. We like Google Domain’s simple layout, and you aren’t bombarded with additional advertising for upgrading or adding on. We have also used Namecheap in the past and been happy with them also. Most domain sellers have the same prices. The hosting service you select will be based on the amount of traffic to your site. I don’t have much traffic right now because I’ve just started. But over time, as the site and traffic grow, you will need to upgrade to keep your blog running smoothly and loading quickly. There are lots of options. Two popular ones for food blogs are StableHost and Blue Host . We have chosen to use StableHost. One great thing about both options is the price! An entry level plan is less than $4 per month. A tiny section of the cPanel dashboard in our StableHost account. So many things to explore! There are approximately one million options out there (at least that’s what it feels like)! We chose to use WordPress. Not only does a large community of people use them for their websites, but they are also a big name so there are lots of helpful resources. There are three different options: a WordPress.com free account, a monthly subscription, or hosting and customizing your own page. If you would like to use your own domain name, then you can pay monthly for a subscription service. The third option (what we did) is to create an account, then install WordPress through your cPanel dashboard. One thing we love about StableHost is that there is software included in the cPanel called Softaculous. 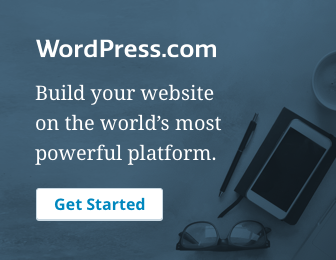 Opening Softaculous makes installing WordPress extremely easy. It’s a click of a button to open the wizard. It will walk you through the process. Finally you can play with the look and feel of your site! This is the fun part. I had a basic idea of how I wanted Story Nosh to look. In WordPress your style is called a “theme.” Same thing as a template. I searched the Themes for a “magazine” or “newspaper” theme. I wanted a theme that had a block of images on the homepage, and could easily visualize my categories: Stories, Food, Recipes. The Customize window for making changes to the Story Nosh theme.